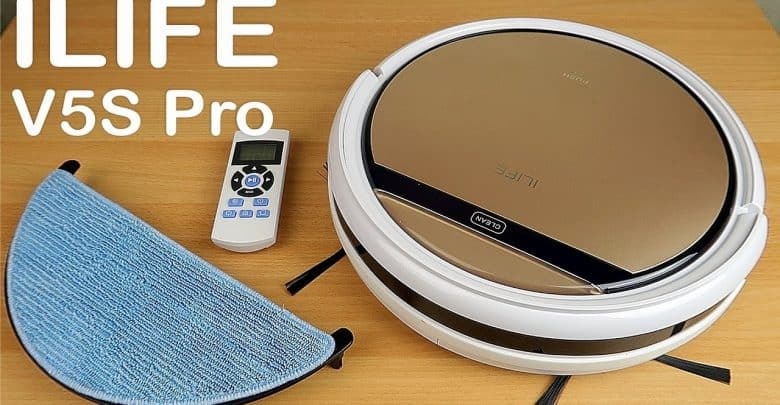 ILIFE V5S Pro is low price robot vacuum. You can get this vacuum robot cleaner who can vacuum and mop for about 150usd. So for this price range this is the best robot vacuum you can find and order online. I choose this robot because in my house there is no big carpets, only hardwood floor basically so this robot is great for cleaning hardwood floor and tiles. Also this robot has good HEPA filter. Has remote control, no need any app to download and etc, good if sometimes you want to turn on vacuum robot and other time your wife :). Also this ILIFE V5S Pro vacuum robot has good battery, so can clean whole first floor on my house. On a down site the dust bin is small, but if you clean every day it’s OK. As I mentioned at the beginning this robot do not have brush roll so its hard to deep clean carpets. And also I haven’t tried moping because I don’t think this price range vacuum robot can mop floor properly. So conclusion of mine is this, if you want to try to have robot vacuum at home and don;t want to spend a fortune of money you can buy this vacuum robot for sure!